Looking for an MMO to play on Linux? Well, Tibia [Official Site] has a Linux version and it's been around for quite a long time. They did drop Linux support at one time, but they revived it after community requests. This year, the game actually turned 20 years old! Over that time, they've seen 30 million accounts created to play. ln -s "/usr/lib/x86_64-linux-gnu/libpcre16.so.3" "/your download/tibia-11.49.6030/bin/libpcre16.so.0"
Once that was done, it was smooth sailing from there. As for the game itself, it does still have a pretty active community. Checking on it again earlier, over six thousand people were logged on playing the game. If you're after an MMO that's a little on the slower side, a little retro in the graphics and UI then it might be a nice choice for you. While the basic game is free to play, if you enjoy it they do have a premium account option which includes accessing more areas, rentable houses, brand new spells and more. Normally masquerading sonames as other versions is a Very Bad Idea™ (due to API changes), but in this case Debian arbitrarilly changes the soname version from 0 to 3 for no discernable reason. # 50 lines of this file. Please update that if the variables above are moved. So linking libpcre16.so.3 to libpcre16.so.0 in this instance should be fine. Has a very Ultima vibe to it. New client and still unplayable on a modern monitor, only way to play it is to lower the resolution. Text is too small to be readable otherwise. I played tons of it when I was in high school. It was very popular in Poland! It's still a good game, just quite specific. Recommended! razing32 Has a very Ultima vibe to it. True story: Two friends and myself set up a UOX server (Ultima Online server emulator) and played for 34 hours straight. Okay, A friend and I an someone I no longer associate with. This person kept having really slow performance and his computer kept crashing. It was a JTS one (hysterically the company that Atari merged with when they 'died'.) Only JTS hard drive I'd ever seen, but it died on him a week later. Anyhow, I thought that w as hilarious, and yeah Tibia was always a UO clone. slaapliedje Anyhow, I thought that w as hilarious, and yeah Tibia was always a UO clone. 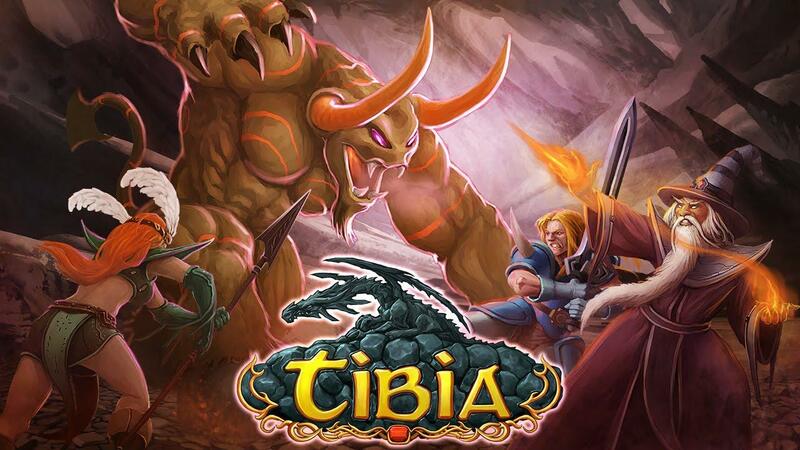 Quote Tibia® - a massively multiplayer online role-playing game. Copyright © 1996-2017 CipSoft GmbH. All rights reserved. Ultima and Ultima Online are quite different. Search for images of "Ultima VI" and you'll see that Tibia is pretty much a clone of it. shigutso Ultima and Ultima Online are quite different. Ok, Ultima VI and Tibia look "similar", but so do basically all top-view games from the ninties and some of the eighties, at least the ones that tried to add some kind of perspective to the otherwise straight top down view. Ultima 7 was awesome, though I never completed it (got really far, then lost my save game).